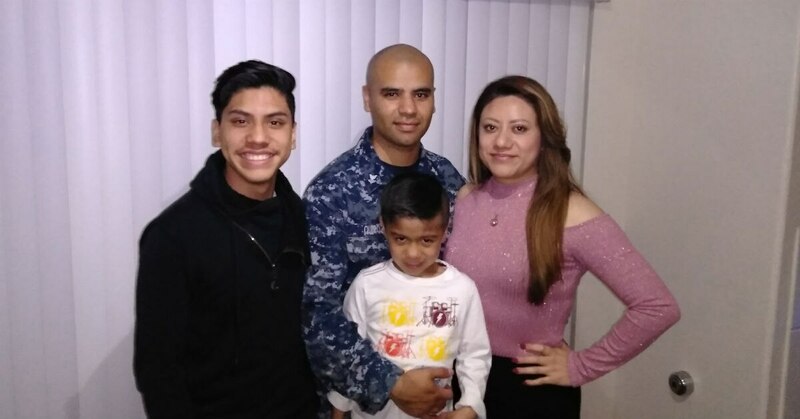 As summer nears in San Diego, Ship’s Serviceman 2nd Class Juan Quiroz and his family are readying for the rigors of another at-sea deployment. But unlike his shipmates, Quiroz has a unique worry piled on top of the standard-issue stress. He wonders if his wife, Irais, will still be here when he comes home. A week before that successful attempt, she had been caught trying to cross, fingerprinted, and sent back to Mexico. With thousands of dollars in legal fees and fading hope, more military families reach out. After running her fingerprints last fall, an immigration attorney told the family that Irais had an active deportation order. Any encounter with authorities could send her away from Quiroz and their two boys. It could happen while Quiroz is underway later this year with the amphibious assault ship Essex. The attorney said nothing could be done to naturalize Irais until the removal order is addressed, and “the fear kicked in right away,” the 30-year-old Quiroz recalled. Both Quiroz and Irais, who asked that her last name not be used, said they were slow to getting her legal for fear she would be deported if they failed. Better to live in the shadows together, as a family, than apart in the open. Officials with U.S. Immigration and Customs Enforcement and U.S. Citizenship and Immigration Services did not respond to requests for comment by Military Times’s deadline. Quiroz also said attorneys told him his wife could be banned from the United States for a decade if she’s caught and deported. While Quiroz gets ready for deployment, he also takes steps to minimize the chances his wife will be snagged by authorities. They stay close to home, and away from anywhere near the border. Quietly, they plan for the unthinkable as well. Irais originally hails from outside Mexico City, but can’t imagine being so far away from her 15-year-old and 5-year-old boys. Their little one remains unaware of what hangs in the balance, Quiroz said, but their teen is as worried and preoccupied as his mom and dad. Quiroz said he was moved to share his family’s story after reading other reports in Military Times about fellow service members facing similar issues. Quiroz said he initially planned to just do four years in uniform before becoming a police officer, but his wife made a Navy career possible. “For me, it’s an honor to know my husband is in the Navy, defending this country and fighting for this country,” Irais said. Quiroz doesn’t know what he’ll do if Irais is deported while he is gone. Quiroz’s parents brought him to Los Angeles from Sonora, Mexico, when he was just three months old. He became a U.S. citizen at 20 and met Irais while they worked at Jack in the Box. He also liked that she wasn’t a stereotypical beautiful California girl, with all the affectations that entails. Thousands of readers shared the plight of the 7th Special Forces Group veteran whose wife faced deportation. "It means the world to us," former Sgt. 1st Class Bob Crawford said. "I know there's other families in this same situation." After learning of his wife’s deportation order, Quiroz said he was told he needs to speak with the Customs and Border Patrol director in San Diego about getting the removal order lifted. But while his next underway looms, Quiroz wonders what happens to his wife if he steps up and they say no. Their 15-year-old, Bryan, is worried about his mom, even as he goes about living an American youth filled with basketball, school and church. 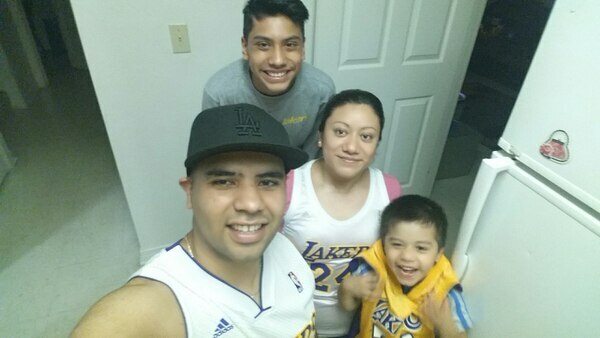 “To see daddy gone for so long, and mom stuck here not knowing what’s going on, it’s really hard,” said Alex Avila, a senior pastor at the family’s church, Fuente de Vida. The 5-year-old drum-playing Jayden never leaves his mom’s side, he said. Irais leads children’s programs in the church, Avila said, and the pastor is preparing to help them get through deployment and potential deportation. She always saddens when Quiroz is gone, he said. Quiroz’s is not the only military family attempting to navigate America’s labyrinthine immigration system, according to Martin Lester, an immigration attorney with the American Immigration Lawyers Association’s Military Assistance Program. The free program helps troops who have immigration issues regarding citizenship, facilitating family immigration and other problems. The program often receives referrals from military legal offices, he said. “If a service member contacts their command’s JAG office or legal service office, those officers are not typically set up for immigration issues,” Lester said. Attorneys across the country can help troops figure out which agency issued a removal order, mitigating factors and what can be done, he said. “Oftentimes, one of our first tasks is unraveling what exactly happened and determining whether or not it is something that is easy to fix,” Lester said. While immigration officials are generally more sympathetic to military families, “the simple fact that they are now a spouse of a U.S. active-duty service member doesn’t just make that deportation order go away,” Lester said. People in the country illegally with deportation orders have at times been able to remain because the feds choose not to enforce it, he said. While the Obama administration never ignored such orders, Lester said the federal position appears to be changing under President Trump. Orders of supervision allow those here illegally to remain, but they are becoming harder to obtain and easier to lift under the current administration, he said. “It’s become not unusual to see people who have been on orders of supervision for a long time receiving notice that when your order is up, it’s not going to be renewed and you need to be prepared to be removed,” Lester said. Between a multitude of agencies and the vagaries of immigration law, sailors like Quiroz are left to find their way through “an incredibly complicated system,” Lester said.